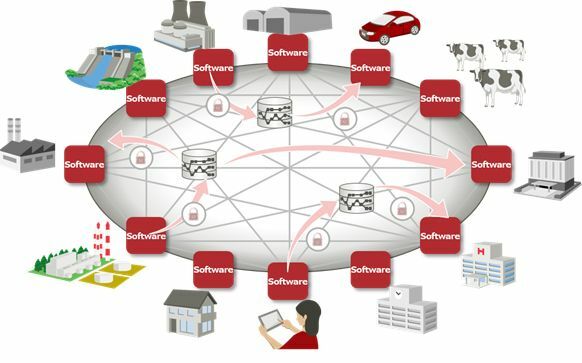 Fujitsu today announced the development of software to create secure data exchange networks. With a proprietary data access control technology it has developed, Fujitsu aims to promote interchanges of data accumulated by various organizations and companies. 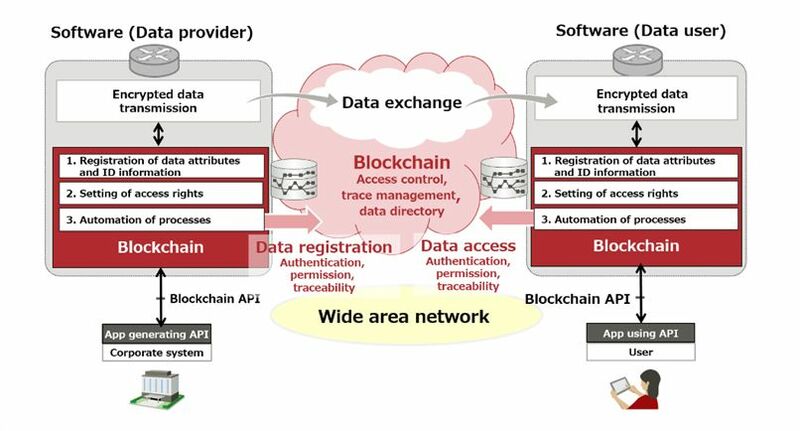 This software was developed by Fujitsu Laboratories Ltd. and based on Fujitsu Virtual Private Digital　Exchange Technology that can apply blockchain to control access to distributed data. Fujitsu Virtual Private Digital Exchange Technology enables registrations of data attribute information and ID information based on where the data is stored. At the same time, it manages the access control policy in order to limit users who can obtain the data. Moreover, the system automatically handles data exchange between the provider and users based on the policy set in advance. By using this software to build a data exchange network among multiple organizations and companies, participants can safely and rapidly share data. Fujitsu aims to expand this software and commercialize it as part of the Fujitsu Network Virtuora(1) series during fiscal 2017. This software will be demonstrated at Interop Tokyo 2017, to be held at Makuhari Messe (Chiba city, Chiba Prefecture) from June 7th to 9th. Recently with the spread of technologies such as IoT, a variety of information relating to people and things has been recorded and stored as data. Efforts to create new value through big data analysis and artificial intelligence (AI) have also become significant worldwide. In order to generate such value, large volumes of diverse data will be necessary and it will be important for organizations and individuals to share them. However, there are security and privacy concerns with typical data interchange which requires external data storage. In response to such challenge, Fujitsu developed a software for data exchange networks that allows individuals and organizations to share data while keeping them in their internal systems. The blockchain technology enables multiple computers connected to the network to share information such as transaction records. Blockchain has already been used to circulate virtual currencies, but the technology is increasingly being put to use in a variety of fields. Fujitsu has now developed software using its Fujitsu Virtual Private Digital Exchange Technology, where blockchain is applied to control the access to a distributed data network. Features of this software are as follows. Data providers can record attribute information (for example, type and element of data) and ID information linked with data storage on the blockchain's distributed ledger, while the data remains where it is stored. That is, users can easily search for data according to the attribute information recorded in the distributed ledger. They can also obtain ID information for the data. Data providers do not need to allow users to download the data directly from where it is stored. Instead, they encrypt the data and send it to users who initially provide their ID information. This enables secure data sharing. When registering information on the blockchain, data providers can manage the access policy for each data set. This enables the providers to selectively disclose information to those who are granted access to the distributed ledger. This software features smart contracts(2) which enables efficient data exchange. Smart contracts will automatically execute a series of processes after the data has been requested, from access authorization to transmission of data. This new software is based on the Hyperledger Fabric(3) , a consortium-type blockchain, and was created by developing proprietary smart contracts executed on the blockchain. Fujitsu will expand this software with the goal of commercializing it as part of the Fujitsu Network Virtuora series during fiscal 2017. This will create data exchange networks where people can safely interchange their data across boundaries. A series of software products including software defined networking (SDN) and network functions virtualization (NFV). It provides an on-demand, optimized virtual network for services using wide-area network. A program that automatically executes a contract based on pre-defined conditions. A blockchain technology being developed by the Hyperledger Project, a community promoting open source blockchain technology, established primarily by the Linux Foundation. Fujitsu participates in this community as a premier member.